The name is descriptive, as ‘wynsum’(unique spelling of course), means ‘engaging, charming, appealing, endearing’, and ‘forge’ is to create, form, fashion something with a concentrated effort. 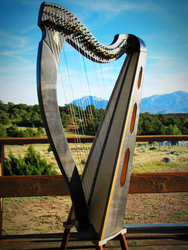 She is working with a small harp program in a public school in Southern Colorado, teaching various instruments at the Colorado Springs Senior Citizens Center, private lessons, and generally helping others ‘forge’ a musical path! Contact her here if you are interested in private or group lessons! 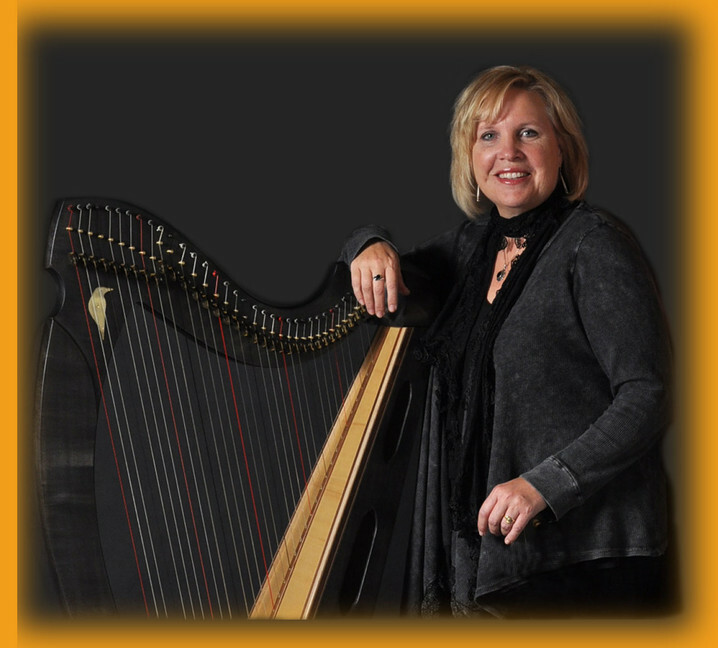 Kim McKee has shared music professionally for 30 years. With her husband Ken Willson. 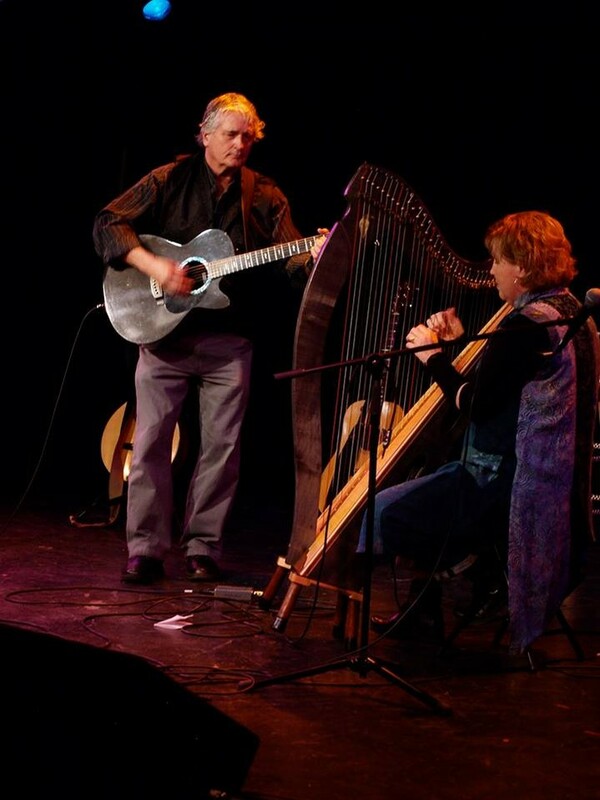 They have toured full time both in the United States and the U.K.
Kim plays multiple instruments, having won a National Championship, as well as composes fine songs which have won awards in Ireland, Scotland and the U.S. 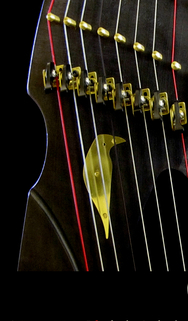 Her harp was created by the Internationally known John (Jack) Yule, of Scotland. It is made of Scottish sycamore, and strung with custom made gut strings. The model is a "Raven", with a very old soul, and a mythical 'eye' of Whitby Jet and mastodon tusk. Sharing the rich soundscapes of this instrument to the atmosphere of gatherings, events and facilities, is an important part of her continued musical journey. Two hours of memorizing music (soothing but not sleepy time) both traditional and original, is sure to bring a depth of experience to any event. 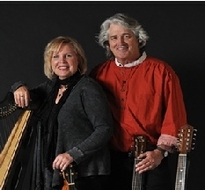 The Raven is equipped with high quality electronic pick-ups and Kim brings her own professional sound system for larger venues.